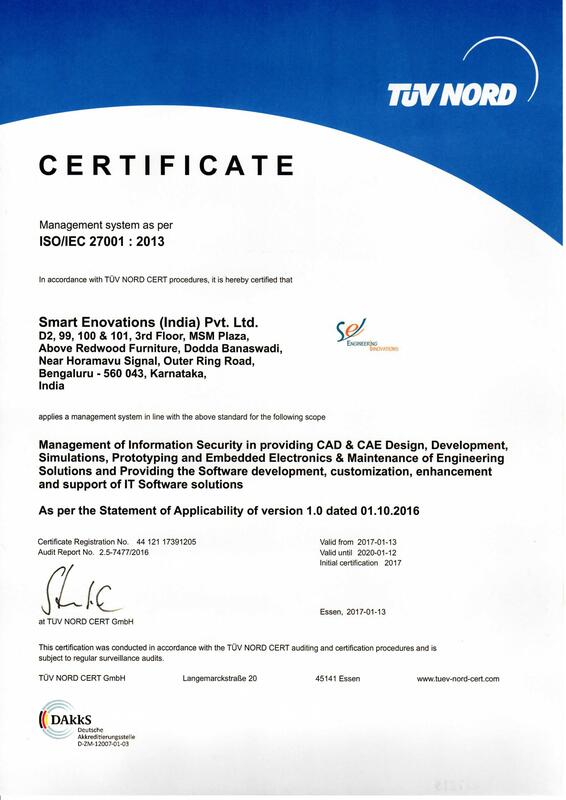 Smart Enovations has established a comprehensive Quality Management System in line with ISO 9001:2015 and ISO/IEC 27001:2013 standard requirements. The focus is always to deliver best in-class, defect-free design, development and simulations in engineering services as per the customer requirements. 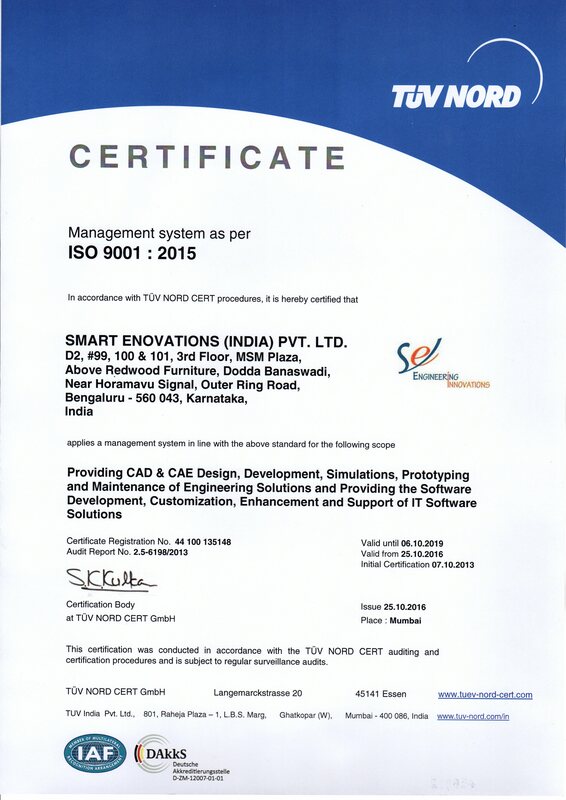 At Smart Enovations, we believe that quality is a culture and everyone follows it when we serve the needs of our customers. Our quality journey began right from the inception of our company. We have crossed various important milestones seamlessly integrating the various processes which has made our Quality Management System more comprehensive. The quality systems have contributed significantly to our performance and in establishing during the growth phase. Detailed procedures, guidelines, checklists and templates exist within the Quality Management System to bring in rigor and certainty into every aspect of project planning and execution. The customers are assured that all the processes adapted in the execution follow the guidelines laid by the ISO organisation.